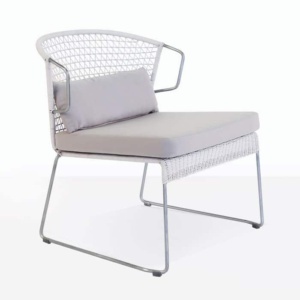 The Moderno relaxing chair is a long, lean relaxing chair that fits perfectly into modern or contemporary spaces. 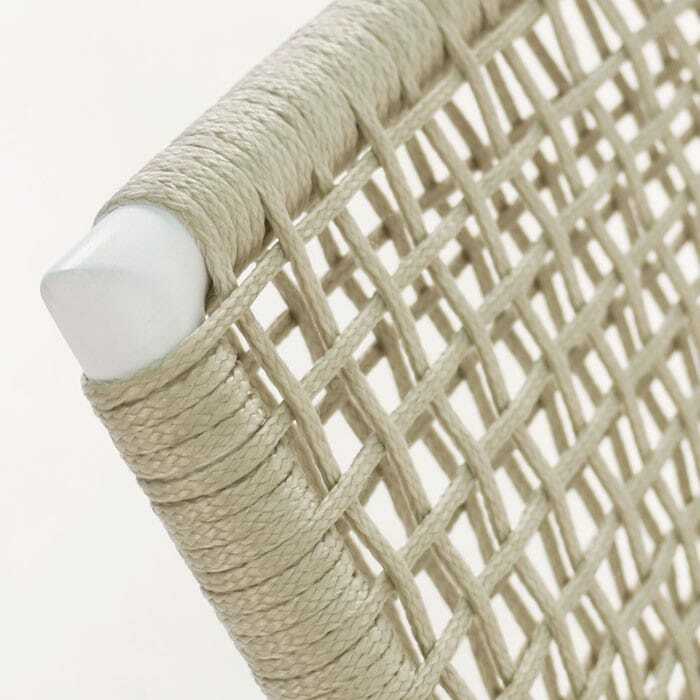 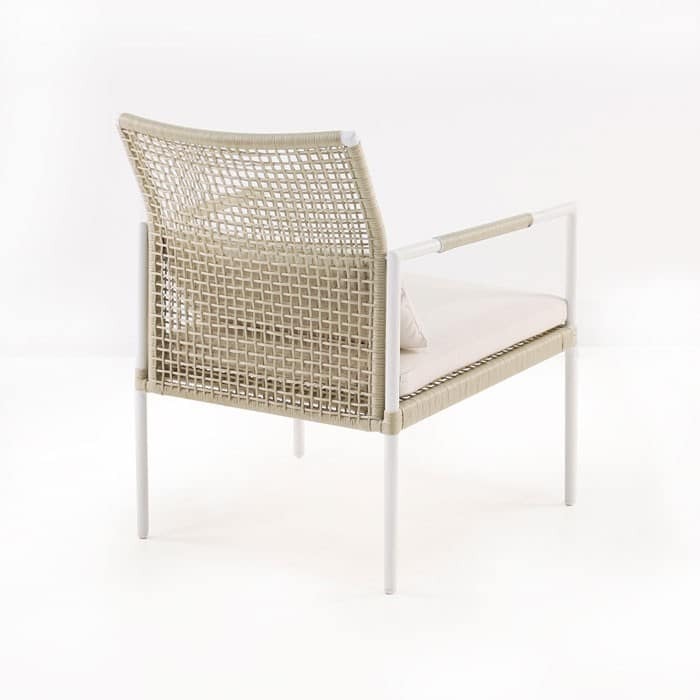 Fully outdoor capable with the build made from a powder-coated aluminum frame and a tightly woven Ecolene Outdoor String seating surface. 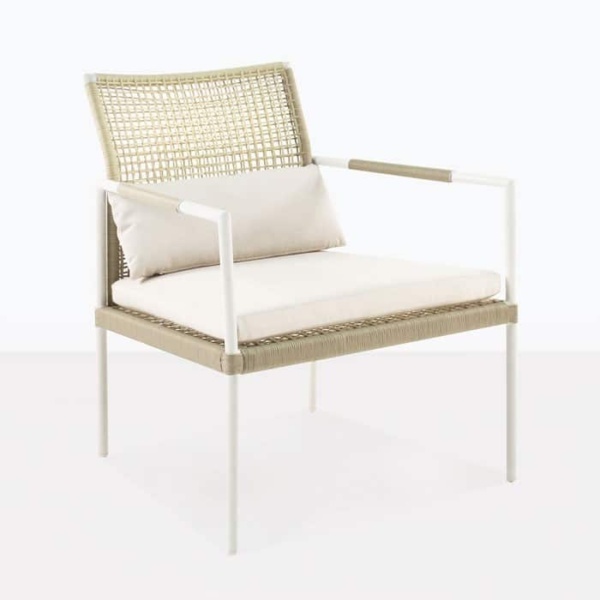 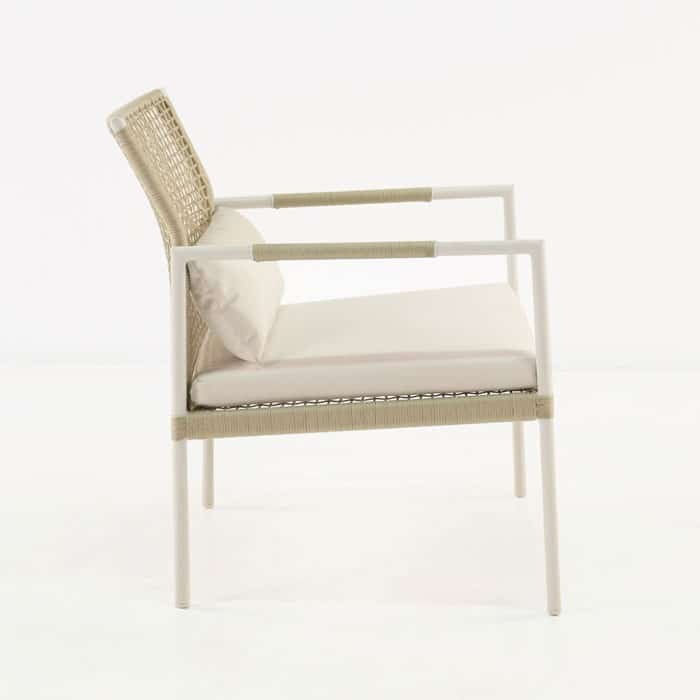 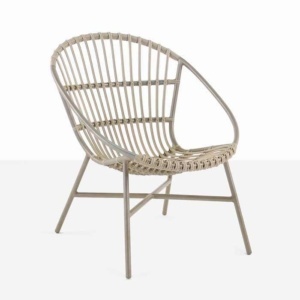 The maintenance on this outdoor relaxing chair is minimal; it’s lightweight and exceptionally comfortable. Cushions are included as shown, made from top quality Sunbrella fabric covering a medium density foam which offers comfort and enough firmness to keep their shape for many years to come.